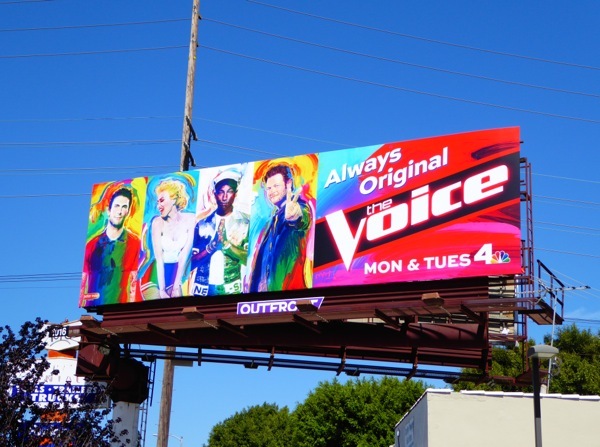 The Voice is back for an amazing ninth season and not only is it bringing more heavenly sounds this season, but the singing talent show is also bringing a burst of vibrant colour to the skies of L.A.
After eight seasons the promo billboards had fallen into a bit of a rut of just showing the celebrity mentors in various poses, but this new ad creative certainly lives up to the 'always original' tagline, really coming up with a refreshed concept. 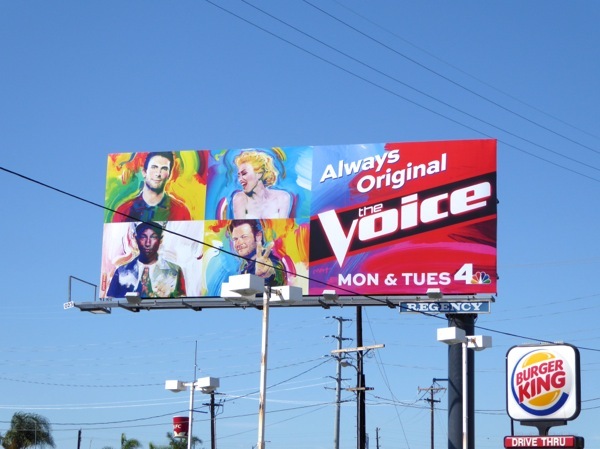 With Adam Levine, Gwen Stefani, Pharrell Williams and Blake Shelton painted like original pop art masterpieces these outdoor ads really do stand out amongst the deluge of Fall season TV shows competing for your attention and eyeballs. 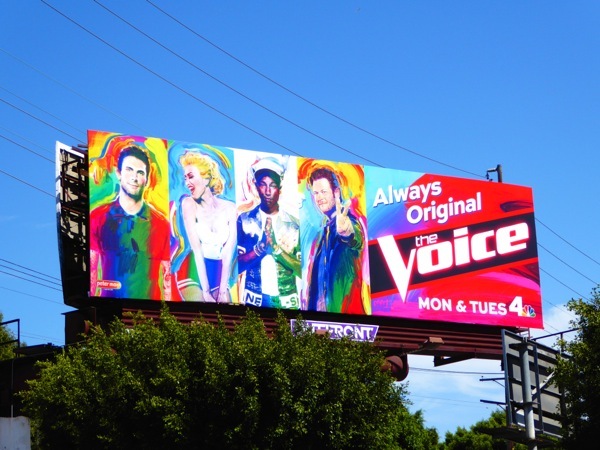 These eye-catching billboards, by famed illustrator and graphic artist Peter Max, were first snapped along Santa Monica Boulevard in West L.A. on August 29, then later snapped along Melrose Avenue and Sunset Boulevard. 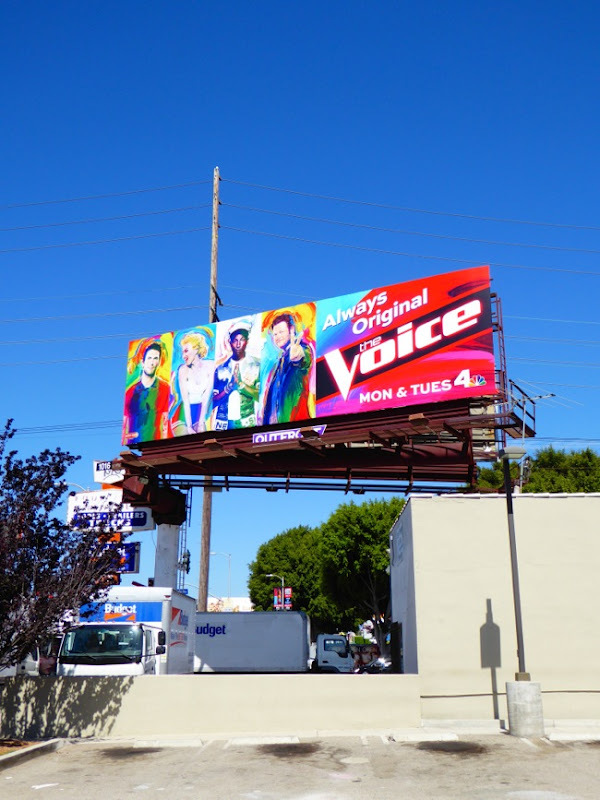 The ads also appear to come in two different executions, and the stacked squares billboards were first spied along La Cienega Boulevard out near LAX Airport on September 8 and a smaller ad spotted above Beverly Boulevard on September 19, 2015. 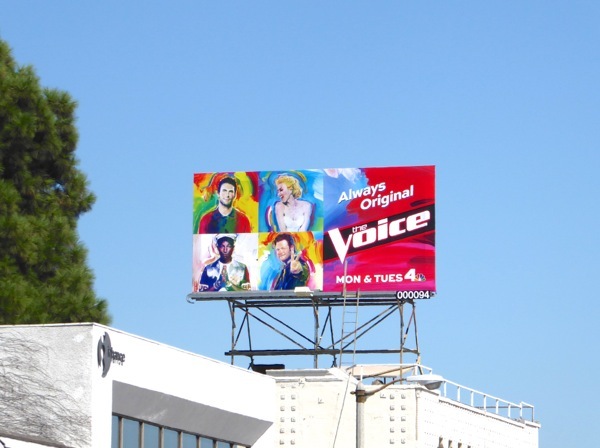 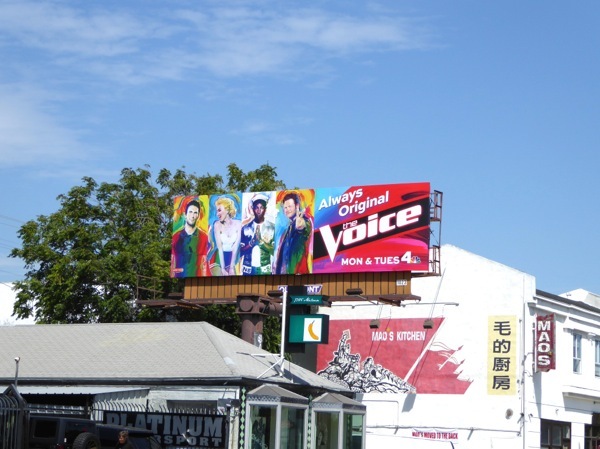 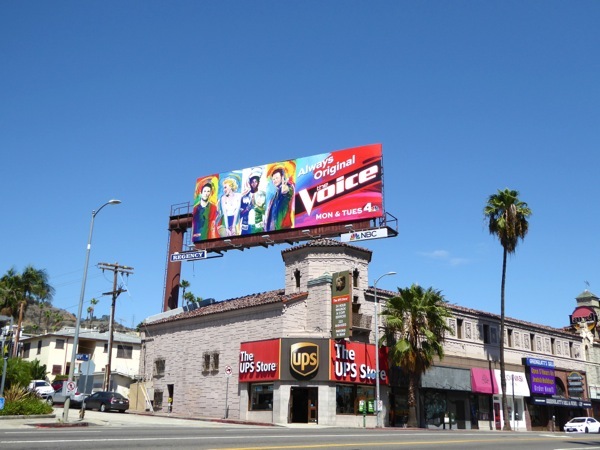 If you're a fan of the show, be sure to check out all these previous season promo billboards for The Voice, which also featured the likes of original mentors Christina Aguilera and Cee Lo Green, plus guest star mentors Shakira and Usher. 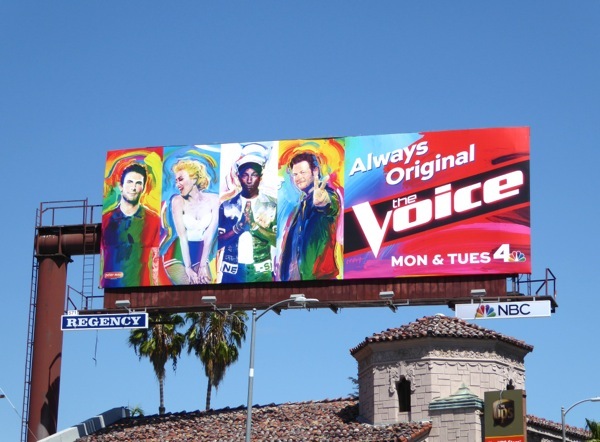 Returning for season nine, let's see if the Emmy-winning series can indeed retain its originality and finally spawn a winning superstar of its own to conquer the airwaves.